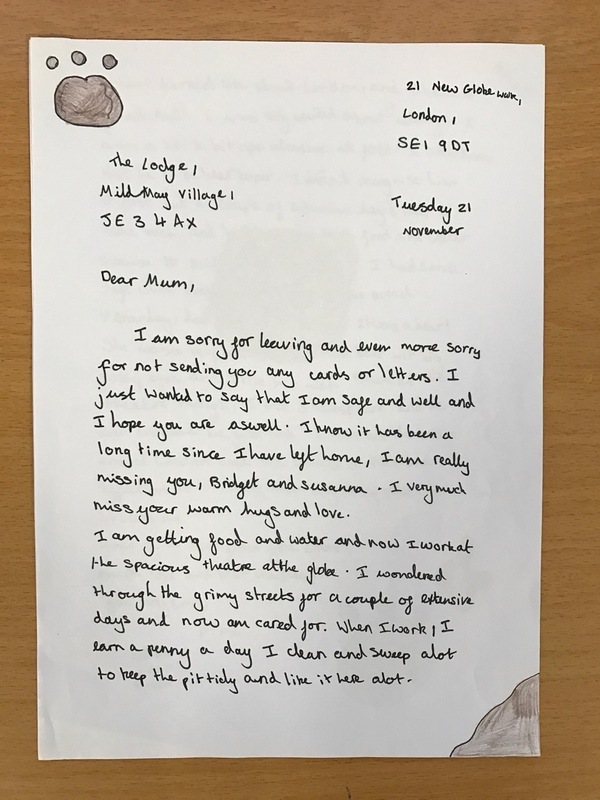 I was very pleased to receive some letters recently, written by children from Southway Junior School in Burgess Hill. 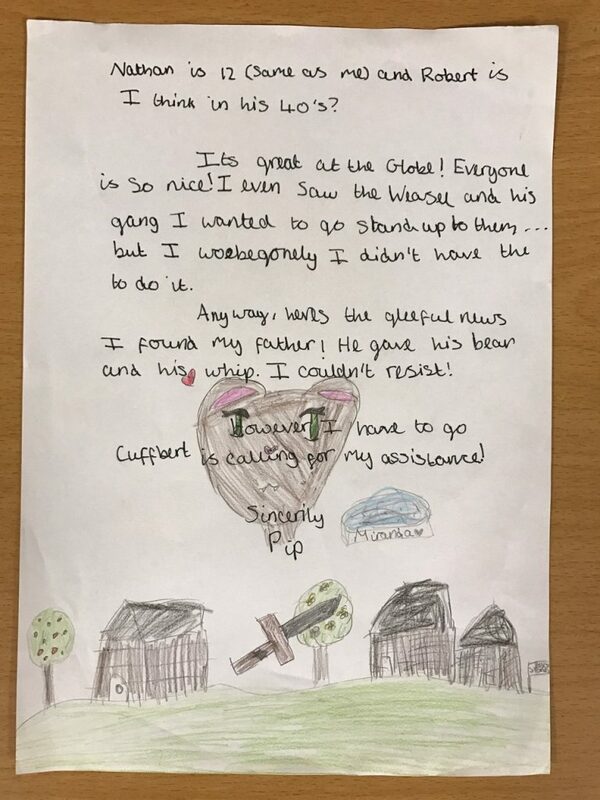 Their teachers, Kelly and Melissa, have been reading Bearkeeper with Year 5, using the text as a way to discuss Shakespeare and daily life in Elizabethan London. 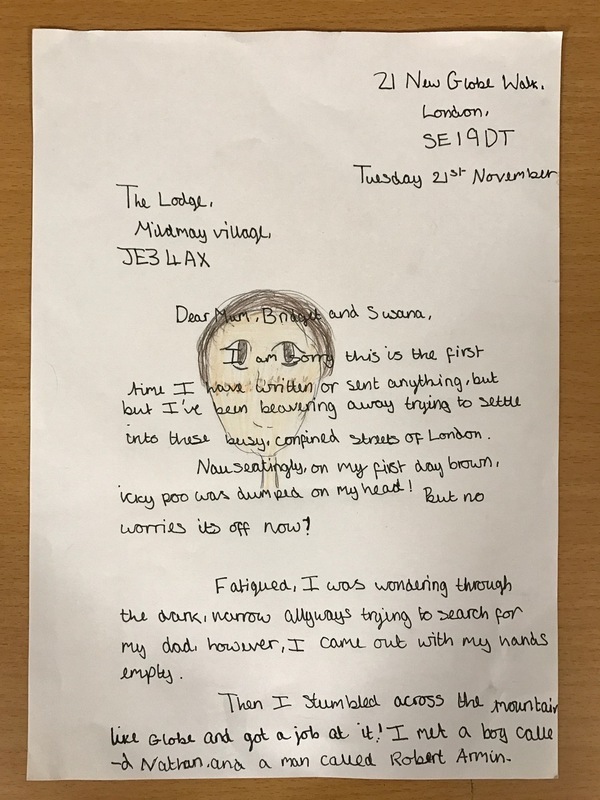 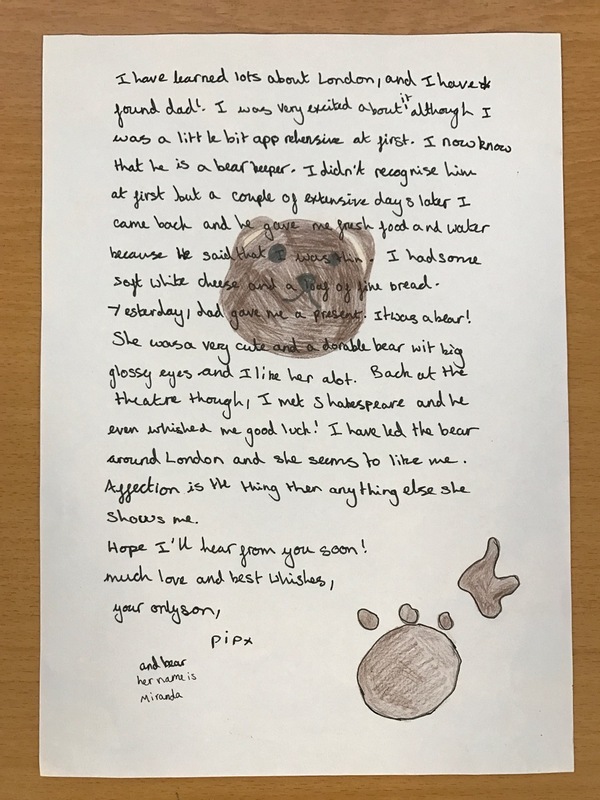 Kelly and Melissa suggested they write letters from Pip’s perspective, describing his adventures in London. Here are two of the letters, written by Taliyah and Scarlett.